Fig. 1: Deriving the bathymetry and temperature of a large supraglacial pond on Khumbu Glacier, Everest region of Nepal. The sonar-equipped unmanned surface vessel nicknamed ‘BathyBot’ (left), and kayak retrieval of temperature loggers (right) [Credit: Scott Watson]. A creeping flux of ice descends Everest, creating the dynamic environment of Khumbu Glacier. Ice and snow tumble, debris slumps, ice cliffs melt, englacial cavities collapse, ponds form and drain, all responding to a variable energy balance. Indeed, Khumbu Glacier is a debris-covered glacier, meaning it features a layer of sediment, rocks and house-sized boulders that covers the ice beneath. Recent advances in understanding debris-covered glacier hydrology come from combining in situ surveys with remotely sensed satellite data. The dramatic beauty of Nepal’s Everest region attracts a mix of trekkers, climbers, and scientists. 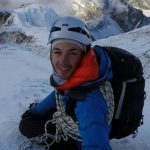 Flowing down from the slopes of Mount Everest, the debris-covered Khumbu Glacier has drawn scientists from the mid-1900s, and offers temporary residence for research teams and a myriad of climbers. In some locations, Khumbu Glacier has thinned by up to 80 m in the last three decades, leading to moraines overlooking the glacier with impressive topographic relief and providing an instant visualisation of glacier mass loss for trekkers heading to Everest Base Camp. Melt at the surface of this glacier is moderated by an undulating debris layer, which insulates the ice beneath, and enhanced locally by dynamic surface features such as supraglacial ponds and ice cliffs thinly veiled by debris. These features contribute disproportionately to melt and lead to the development of hummocky, pitted surface topography. The resulting variable surface topography and melt rates complicate meltwater runoff and flow routing across the glacier. To better understand them, in situ surveying (Fig. 1) is increasingly combined with fine spatial-temporal resolution satellite imagery to reveal the hydrological evolution of debris-covered glaciers, which is closely linked to their mass loss. As with debris-free glaciers, water may be routed through supraglacial, englacial, and subglacial pathways, which are conceptually distinct but physically link to one another. At Khumbu Glacier, surface channels collect and rapidly convey meltwater generated in the upper ablation area (Fig. 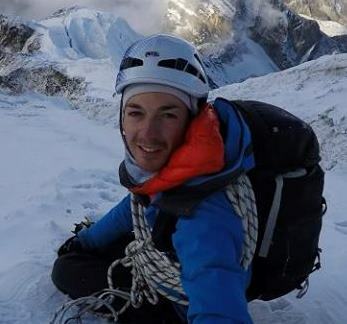 2), just below the treacherous Khumbu Icefall, incising at a faster rate than the surface melt. In the middle of the debris-covered area, such streams disappear into the glacier’s interior through cut-and-closure and/or hydrofracture. 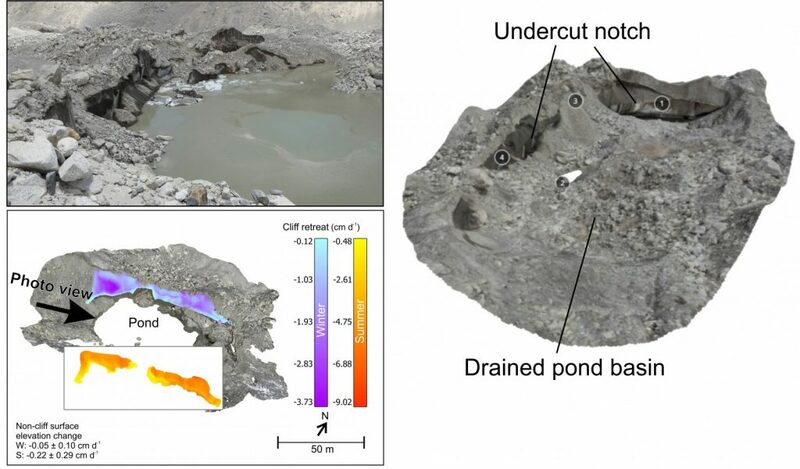 Fig.2: The upper ablation area of Khumbu is drained by supraglacial channels which enter the glacier’s interior through hydrofracture and cut-and-closure, while the lower portion is characterised by pitted surface depressions and an increasing density of ponds. Right panel looking east to west shows the hummocky topography and ponding on Khumbu Glacier. [Credit: Evan Miles (left), Ann Rowan (right)]. In areas of low surface gradient , and particularly throughout the hummocky lower reaches of the glacier, supraglacial ponds collect water in surface depressions. These features haveregulate the runoff of debris-covered glaciers by seasonally storing meltwater. The annual melt cycle thus leads to pond expansion and contraction, or their disappearance when the protecting debris layer thaws and relict meltwater conduits become avenues for drainage (Fig 3). The areal fluctuation of ponds can be quantified using satellite images at different times, but cloud cover during the summer monsoon season limits useable imagery at a time when the ponds are most dynamic. Therefore, field-instrumented ponds provide valuable insights into their active melt season behaviour. Fig. 3: A small 4.5 m deep pond that drained over the course of a year [Credit: Watson et al., 2017a]. Turbid ponds associated with debris influx from ice cliffs are often ephemeral but some can grow to hold vast quantities of water (Fig. 1). Stored water absorbs and transmits solar energy to melt adjacent ice, which generates additional meltwater and leads to pond expansion. The ponds also thermally undercut ice cliffs, leading to both subaqueous and subaerial retreat (Fig. 4). Khumbu Glacier has been developing a growing network of ponds in recent years, which means meltwater is increasingly stored on the surface of the glacier before contributing to downstream river discharge. Ponds that coalesce into larger and more persistent lakes behind unstable deposits of sediment can in some cases pose a hazard to downstream communities. Field and satellite-based techniques are therefore used simultaneously to monitor lake development. Fig. 4. Supraglacial ponds often exist alongside ice cliffs. These ‘hot spots’ of melt can be observed with repeat point cloud differencing [Credit: Watson et al., 2017b]. An interactive view of the drained pond basin (right) is available here. Ephemeral ponds drain into the ‘black box’ glacier interior, where relatively little is known about the internal structure and hydrology. Scientists have occasionally ventured into the subsurfac e realm through networks of englacial conduits that become exposed as the glacier thins (Fig. 5); such conduits often re-emerge at the glacier surface but may also lead to the bed. The conduits carry meltwater through the glacier but can become dormant if blocked by falling debris or creeping ice, or when the meltwater that sustains them finds a route of lesser resistance. Whilst satellite data can be used to infer the presence of conduits, field-based methods are required for hydrological budgeting and quantifying meltwater transit times. For example, dye tracing can detect the subsurface passage of meltwater where strategically placed fluorometers measure the receipt and dilution of the dye upon re-emergence. Such methods are crucial for developing an improved understanding of the links between, for example, flow in the supraglacial channels up-glacier and discharge at the outlet. Fig. 5: An exposed conduit on Lirung Glacier (left) [Credit: Miles et al., 2017] and researchers inside a conduit on Ngozumpa Glacier (right) [Credit: Benn et al., 2017]. Multiple teams working across the Himalaya are advancing our understanding of debris-covered glacier hydrology, which is essential to forecast their future and quantify their downstream impact. With the ready availability of increasingly high temporal resolution satellite imagery (e.g. Sentinel-2, Planet Labs), the link between field and spacebourne observations will become increasingly complementary. Developing these links is crucial to upscale observations from specific sites more broadly across the Himalaya. Benn, D.I. et al. 2017. Structure and evolution of the drainage system of a Himalayan debris-covered glacier, and its relationship with patterns of mass loss. http://dx.doi.org/10.5194/tc-2017-29. Miles, E.S. et al. 2017. 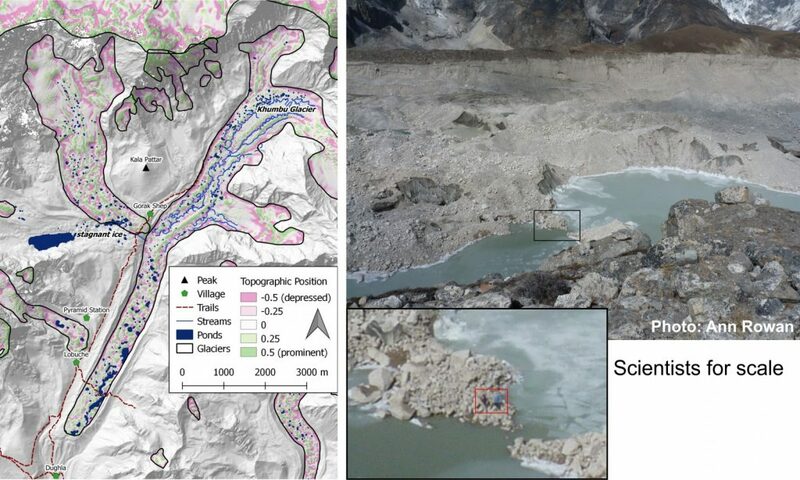 Pond Dynamics and Supraglacial-Englacial Connectivity on Debris-Covered Lirung Glacier, Nepal. http://dx.doi.org/10.3389/feart.2017.00069. Watson, C.S. et al. 2017a. Heterogeneous water storage and thermal regime of supraglacial ponds on debris-covered glaciers. http://dx.doi.org/10.1002/esp.4236. Watson, C.S. et al. 2017b. Quantifying ice cliff evolution with multi-temporal point clouds on the debris-covered Khumbu Glacier, Nepal. http://dx.doi.org/10.1017/jog.2017.47. Scott Watson is a Postdoc at the University of Arizona, USA. He studies glaciers in the Everest region and the surface interactions of supraglacial ponds and ice cliffs. 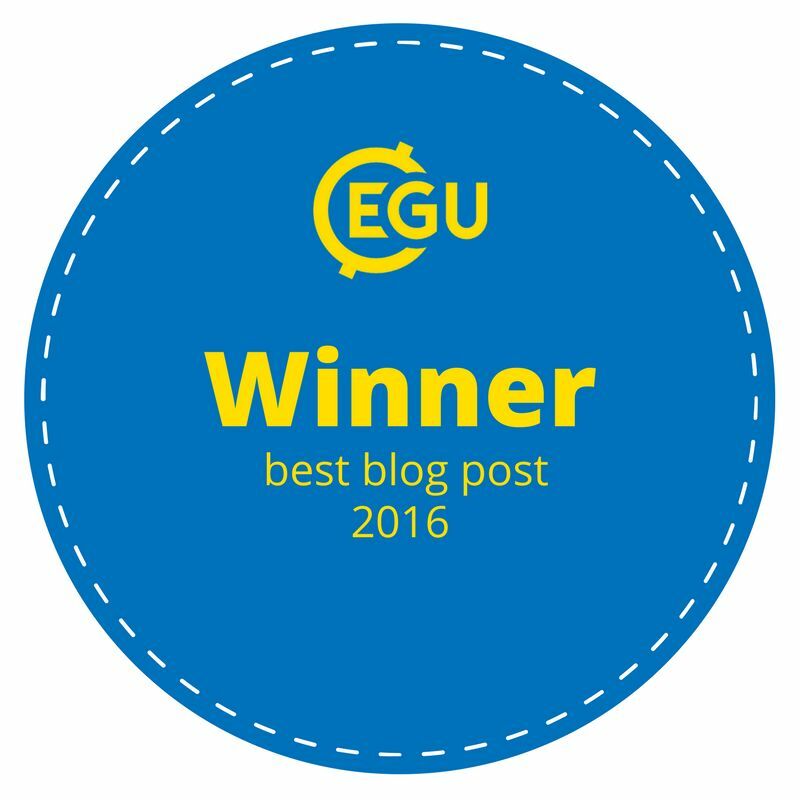 He also investigates natural hazards and the implications of glacial lake outburst floods. 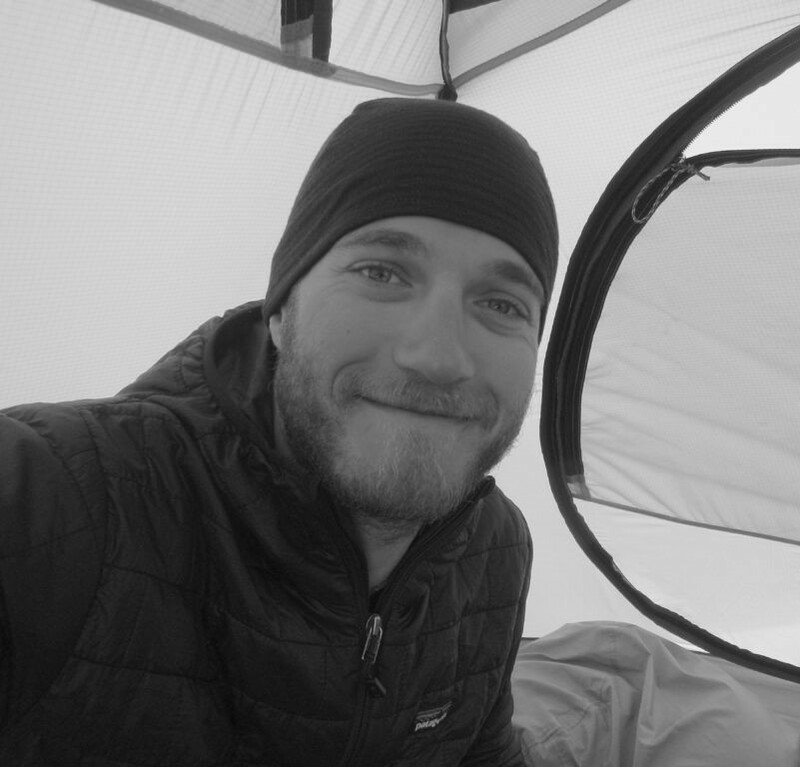 Evan Miles is a Research Fellow at the University of Leeds, UK, where he is a part of the EverDrill project’s hot-water drilling at Khumbu Glacier. His recent work has examined the seasonal hydrology and dynamics of debris-covered glaciers, with a focus on the melt associated with dynamic surface features such as supraglacial ice cliffs and ponds.